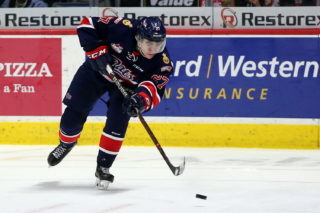 The Regina Pats (13-35-1-2) kick off a four-game road trip through the Central Division on Tuesday night against the Lethbridge Hurricanes (27-15-4-4). Puck drop is at 8:00 p.m. Regina time at the Enmax Centre. 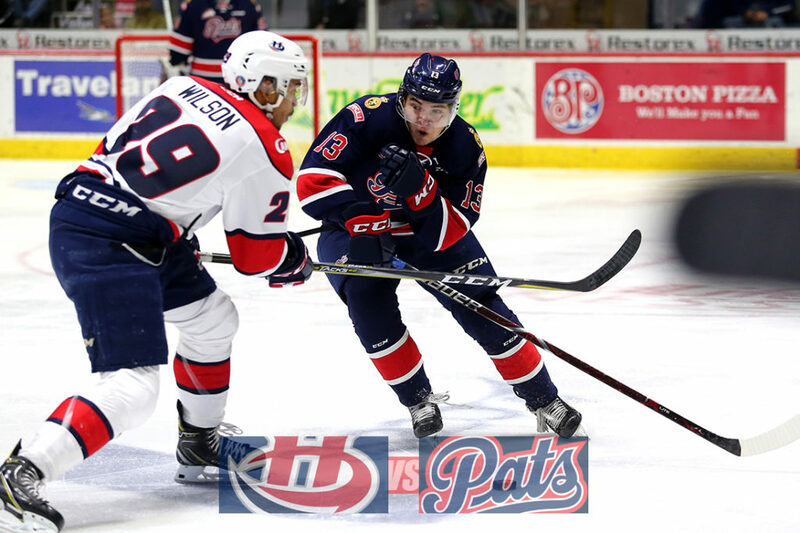 The Pats were last in action on Friday, falling 3-1 at home to the Saskatoon Blades. The Hurricanes last game was on Saturday when they beat the Swift Current Broncos 4-2 for a second consecutive victory. Tonight is the third of four meetings between Regina and Lethbridge in 2018-19, the Pats are 0-2-0-0 in the season series. Tonight’s game can be heard with Bennett Dunlop Ford Pats Hockey starting at 7:35 p.m. on 620 CKRM. 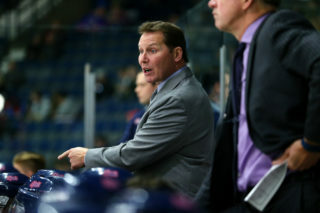 The Regina Pats fought to the end in a 3-1 home loss to the Saskatoon Blades on Friday night at the Brandt Centre. In the first, the Blades opened the scoring just as a powerplay expired, Max Gerlach banged in his own rebound six minutes in and it was 1-0. Max Paddock had a stellar opening frame, making 16 saves and the Pats trailed by just one after 20 minutes. In the second, the Pats found their legs and outshot Saskatoon 22-14. However, the Blades extended their lead to 2-0 thanks to Gary Haden at 7:35. The Pats got that one back thanks to Sergei Alkhimov, his 11th of the year and it was 2-1 after two periods. Max Paddock had another incredible period with a save of the year candidate on Riley McKay. In the third, the Pats pressed for a tying goal and hit a post when they had the extra attacker, but the Blades held on and scored an empty netter with one second left to take the two points in a 3-1 final. The Pats were outshot 42-35, the powerplay was oh for two, the penalty kill five for five and Max Paddock made 39 saves in a first star performance. Pats goaltender Max Paddock continued his strong play since the Christmas break with 39 saves on 41 shots on Friday against Saskatoon. The 18-year-old missed nine games with an illness since the break but has put up his best numbers of the year when he’s been healthy. In seven games, the Brandon product has gone 2-4-1-0 with a 2.58 goals against average and a .925 save percentage. For the season, Paddock has raised his save percentage from .880 to .891 since Christmas and his goals against average has dropped from 3.93 to 3.63. 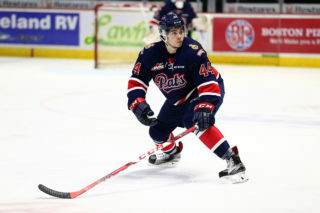 Pats rookie defenceman Ryker Evans returned to the lineup on Friday against Saskatoon after missing the previous 23 games with a lower body injury. 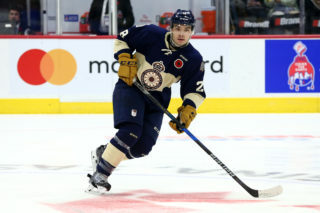 The 17-year-old was hurt on December 1 against Prince Albert and returned exactly two months later on February 1. Evans was drafted in the 10th round of the 2016 WHL Bantam Draft and has four assists in 28 games this season. 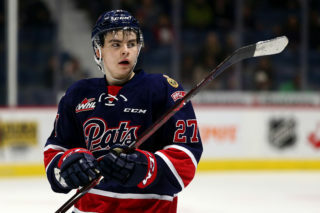 Pats rookie forward Sergei Alkhimov has goals in consecutive games and points in three of his last four entering Tuesday night in Lethbridge. The 17-year-old first round CHL Import Draft pick is up to 11 goals and 19 points in 49 games this year. He has put up four goals and seven points in the first 16 games of the second half of the year. His 11 goals are tied for eighth among all Western Hockey League rookies and his 19 points are tied for 20th. Fellow Pats rookie Riley Krane is tied for eighth in rookie goals with 11 and his 20 points are tied for 18th.